Players can reveal a lot about themselves quickly via their bet sizing, if you're paying attention. Watch your opponents for non-"standard" bet sizing or other evidence of not appreciating pot odds. I was playing in a friendly home game a few weeks back. I was a newcomer to the game, which has been going on for a long time among a fun group playing for low stakes. Typically when getting together they will play a low buy-in no-limit hold'em tournament with a structure slow enough to ensure most everyone will get to play for a couple of hours at least. Every home game has its own quirks, including (perhaps) some unique rules that don't quite align with those followed in a casino or card room. For example, in this particular game they didn't recognize any rule regarding a minimum bet or raise, something I only discovered when in the middle of a hand. Afterwards I couldn't help but think about how even if the rules allowed you to bet or raise less than the minimum as my opponent had done, you typically wouldn't want to make such tiny bets or raises. 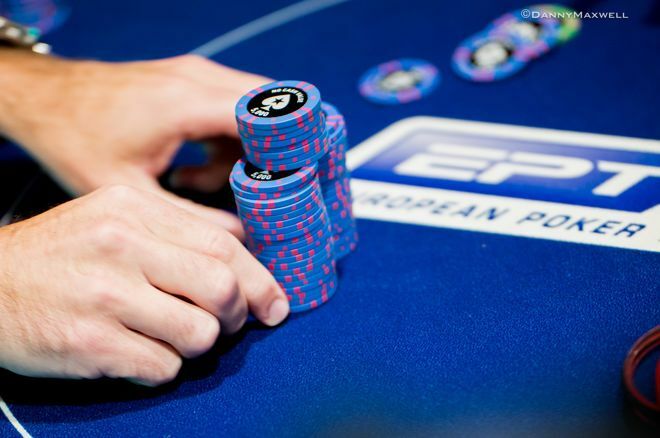 Many amateur no-limit hold'em players don't necessarily recognize the significance of pot odds when they bet or raise, which in turn leads to what knowledgeable players might regard as "errors" in their bet sizing. Such players will often bet what appears to be too little or too much, and in fact a lot of times those bets will be a way for more seasoned players to recognize they are up against someone with less experience. Say it's a tournament and with blinds at 100/200 a relatively new player raises to 600 from the button and the small blind calls. With 1,400 in the pot the flop comes and the small blind checks. A "standard" continuation bet might fall within the range of 35-75 percent of the pot — say anywhere from around 500 to 1,100. Amateurs might bet less, even just the minimum of 200, or a lot more, say 1,500 or more. In fact, you'll see both of these things happen a lot in home games involving inexperienced players, with a lot of minimum bets or raises (as though it were a limit game) as well as a lot of big overbets two or three times the size of the pot. That's not to say there aren't times when a player might want to c-bet an amount that falls outside of the "standard" range. Against a certain aggressive opponent a smallish c-bet might serve to induce a check-raise in a spot when the c-bettor is strong and wants such action. Or against an opponent prone to calling every flop bet no matter how weak he or she is, a c-bettor with a strong holding might want to bomb the pot with a large bet in order to extract more value. There are obviously many situations on the turn and river, also, where a small bet for value will be warranted, enticing an opponent with fourth pair or ace-high to call. Or when a big overbet might be the recommended play, say as a bluff or when holding the nuts and wanting an opponent to pay off with a second-best hand. That said, it's definitely worth paying attention to your opponents' bet sizes throughout the hand, especially when you are first trying to profile them and figure out whether or not they have experience and an understanding of pot odds. It is probably easiest to spot such unusual bet sizing (that is, bets and raises that seem way too big or too small) either preflop or on the flop, although it will occur later in hands, too. You might also be able to "size up" your opponents' skill level by watching how they respond to others' bets and raises, which can indicate whether or not they seem to appreciate the importance of pot odds. In the home game, I didn't end up trying any less-than-minimum bets or raises myself, although looking back I'm realizing that perhaps there could have been a spot where I might have attempted to do so. After all, if I'm playing against opponents who don't know they shouldn't give me 23-to-1 pot odds to call their raises, it's very possible they might not know they should be calling me when I give them such great pot odds to continue!